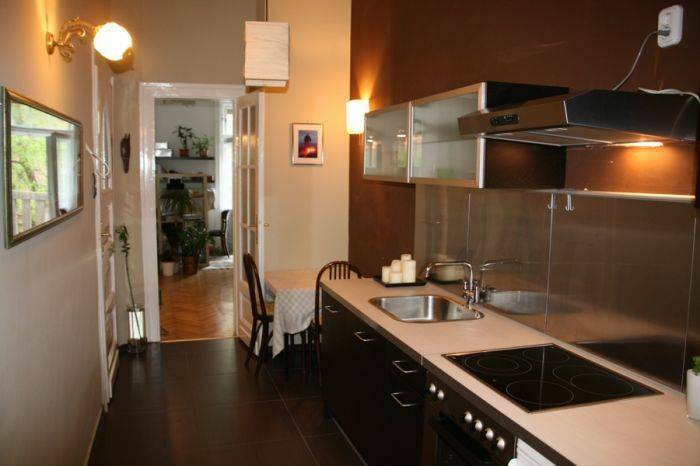 The apartment is located in District 13, in downtown of Budapest, on the tree-lined famous Pozsonyi út, called "little Paris" is full of restaurants and cafes. 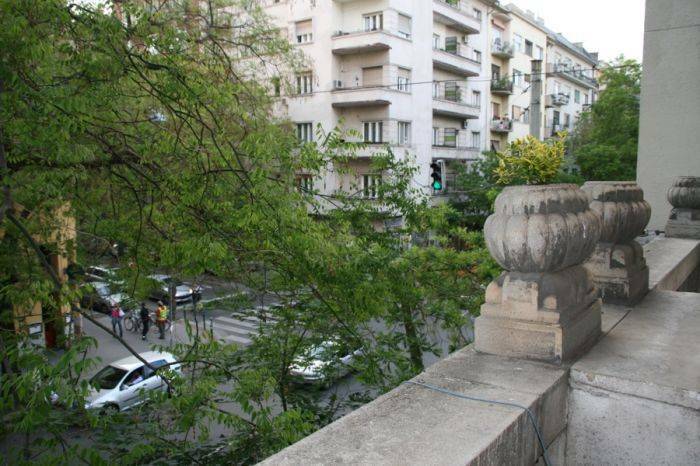 Just one street from the Danube and a short walk from Margaret Island and from Parliament. 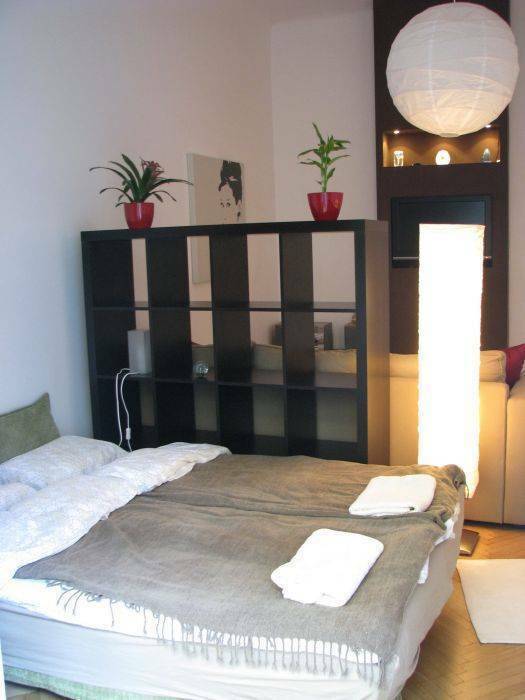 It is just a few blocks from Jászai Mari tér. 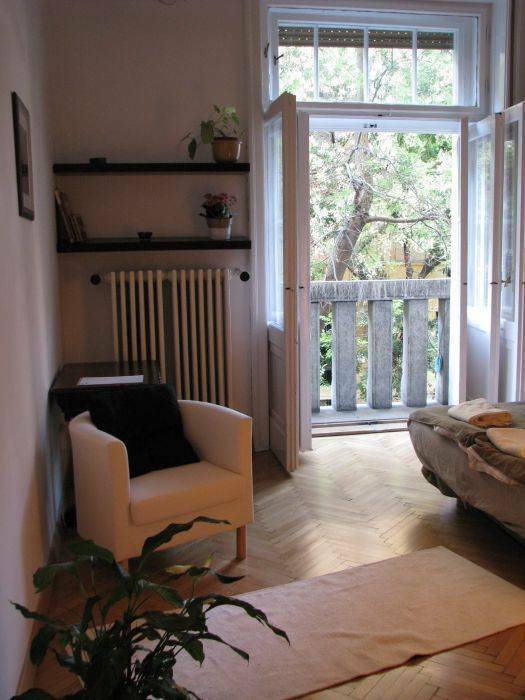 Beautiful, newly renovated and furnished apartment in the city centre. The apartment consist of a big spacious room, with a small french balcony, a bathroom, and a big, new kitchen, with dining area. Unique design, dishwasher, washing machine, fridge, big LCD television with cable TV, Internet access. Fully equipped kitchen, bedlinen, towel provided. The tram stop of 4-6 is just a few minutes walk, the Metro station of Nyugati is 8 minutes walk away. Several buses and trolleys stop in the neighbouring streets. 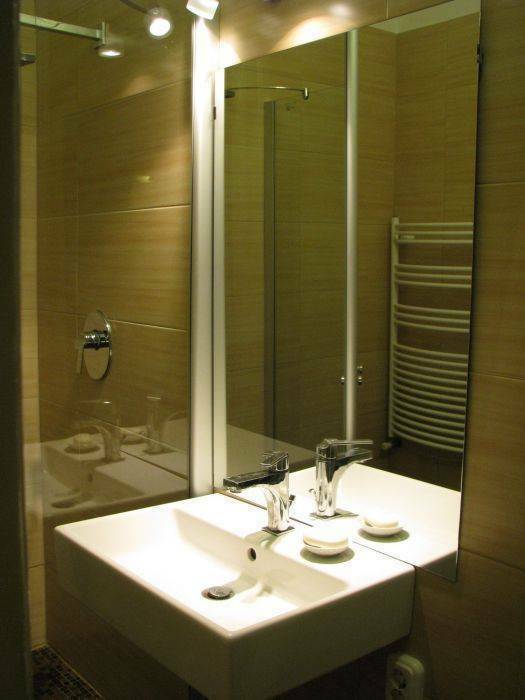 The apartment is equally ideal for holiday makers or business travelers. 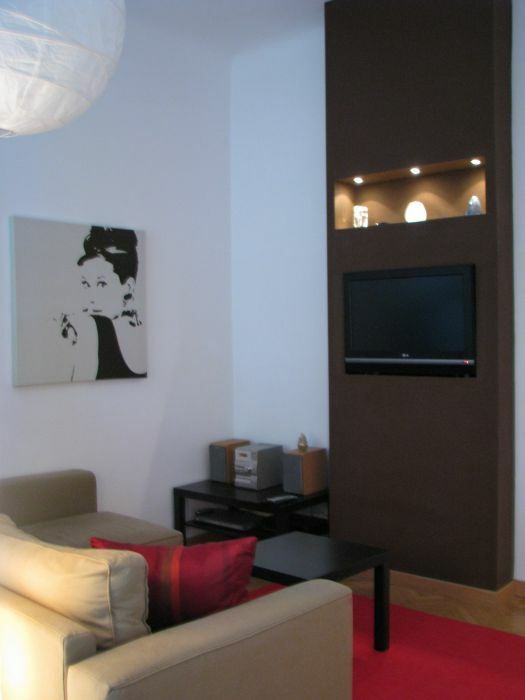 The flat can accommodate of 6 guests comfortably. Additional beds can be attached temporary based on your request. 1. We offer airport transfer: HUF 5500 (aprox. EUR 20).